Buying your first home is such an exciting venture. It can be a stressful process, looking and searching for a home, but then once that paperwork is signed and you’re moving the first of your boxes into your new home, it’s so worth it. It’s exciting and exhilarating. Whether you’re planning to live in your first home for two years or twenty, it’s important to be smart about your home and the way that you treat it. Whether you plan to or not, chances are high that you’ll have to resell your home at some point down the road. 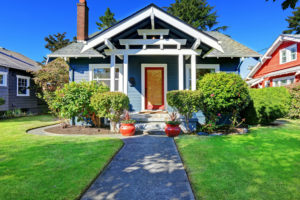 Taking care of your home is important, in order to keep it in good shape so you’ll be able to turn a profit when it does come time to resell your home. Here are a few tips to get the most out of your first home! It can be tempting to buy a really expensive home, right out of the gate. The danger in this is that, it may seem worth it at first, but once that first mortgage payment is due you realize that you’re in over your head. Be calculated with how you go about buying your first home, and make sure that you stay within your budget. How many rooms does your family truly need, and prioritize what qualities in your home are the most important to you and your daily functions. If you find yourself struggling to find a home to fit all of your things, then think about either downsizing how much stuff you own, or consider getting a small storage space to store the things you don’t need year round. Often, you can downsize the amount of space you need in a home, and spend considerably less by storing those seasonal items in a storage space. Search here to find a great price on a storage unit near you. 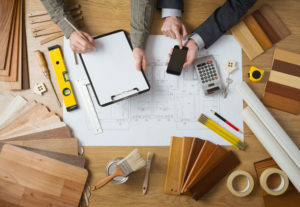 Whether you’re interested in flipping a home, or you want a home that’s already perfected to your exact specifications, you’re probably not a stranger to the idea of embarking on home improvement projects. You don’t need to completely gut and remodel your kitchen the day you get your keys, you can remodel as you go. Prioritize what is the most important to you, and start there. By continuously remodeling and improving your home, you’ll be able to increase the worth of your home and make a profit on it when it does come time to resell your home. There are dozens to hundreds of home improvement projects that you could do for your home, and you really have to do what fits best for your home and family. When most people search for homes, the bathrooms and kitchens are some of the most important rooms to have in pristine condition to convince them that it is the house for them. So if you’re looking to remodel just one room, think about choosing the kitchen or the bathroom. Another great home improvement project, is anything that will make your home more “smart”. Solar panels, smart systems, etc., will dramatically increase the overall value of your home. Most people decide whether or not they want to buy a home before they even step inside of it. It could be absolutely beautiful and perfect inside, but if it’s grungy and old on the outside, then that will put a damper on the way that they feel about the entire home. So take the time to make sure that everyone will be impressed by your home from the first moment that they pull up to the curb. Landscaping is an important part of having a great curb appeal, and make sure that the landscaping fits the feel of the interior of your home as well. A fresh coat of exterior paint goes a long way. And if you’re looking for a quick, weekend project to boost curb appeal, adding a small window treatment will help more than you’d think! A window box with fresh and colorful flowers, or some classic shutters on all of your exterior windows, will make a world of difference to your overall curb appeal.